PodSummit 2018 will take place in Edmonton, Alberta, on May 5. They invite you to join them, along with 100 podcasters and the podcast-curious from all over North America. PodSummit will be giving away over $3,000 worth of gear and software. PodSummit is for fellow content creators, professional (and not so professional) podcasts, and the podcast-curious. If you have a podcast, you will learn how to make it sound amazing, grow your audience, and create content your listeners will love. If you don’t have a podcast, PodSummit will show you how to start one, and will welcome you to their community. Rob Greenlee – “State of the (Podcasting) Union” – Learn about current trends, what kind of shows are earning listeners, new podcast technology like dynamic ad insertion, and what we need to think about in 2018/2018. Andrea Beca – “Growth & Promotion Strategies” – How to promote, market, and grow your podcast. Topics covered include SEO for podcasters, Social Media promotions, Paid Advertising, and more. Roger Kingkade – “How to Design a Successful Podcast” – Uncover the “secrets” to create content your listeners will love. Topics covered include different podcast formats, show structure, audience engagement techniques and more. Mike Russell – “Editing & Production Masterclass” – You can sound more professional with a few simple production techniques. Learn how to EQ for your voice, take out the ums and ahs, and much more! Karen Unland, Erika Ensign, and Andrea Beça – “Podcast Monetization Campfire Chat” – Hear from three veteran podcasters on different ways to monetize your show. From Patreon and earning sponsorships, to affiliates and your own products. Ernest Barbaric – “How to Start a Podcast” – 30 minute intensive eat-and-learn session on everything you need to know to start a podcast. Andreas Schwabe – “The Art of Podcasting” – Your voice is your main podasting tool. Learn how to outline your show so it sounds great and keeps the listener’s attention. Alberta Podcast Network – “PodSummit Mix & Mingle” – This year, PodSummit is doing some really fun networking activities…with amazing prizes and YEG Food Trucks will join for lunch. 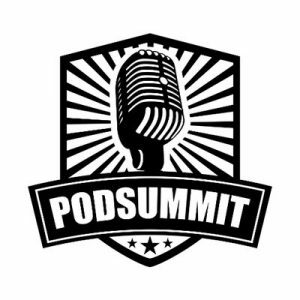 Tickets for PodSummit 2018 are still available (at the time I am writing this). The sale ends on May 3, 2018, and can be purchased through the PodSummit website. Tickets include listing in the PodSummit PodDirectory.